You’ve always longed for that thick, gorgeous hair that turns heads when you walk into a room. 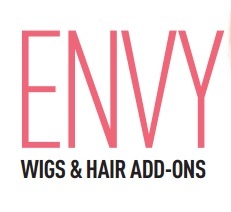 Now you can have it with ready to wear wigs, hair add-ons and extensions from Envy. Soft, touchable, comfortable and so well fitted, the only thing anyone else will notice is hair they wish they had. And with our eco-friendly packaging and marketing materials, we will help you and our world look its best. Isn’t it time you discover why everyone’s going green with Envy? After all, Envy looks good on you!